Building an Elite Path Gymnast | Coach Resource | Swing Big! The guide for Building an Elite Path Gymnast is meant to be a completely extensive guide to starting and building a elite program – and contains new ideas on how to improve existing programs. 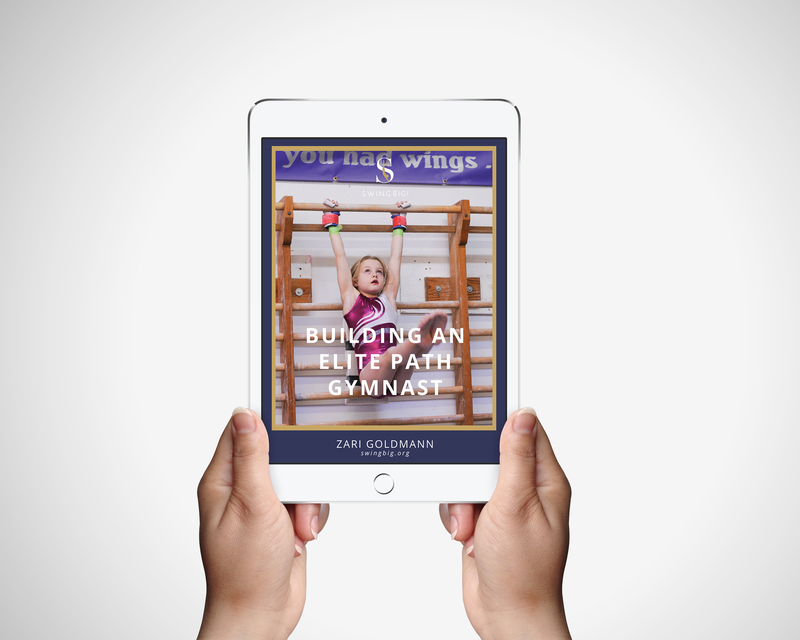 The guide for Building an Elite Path Gymnast is meant to be a completely extensive guide to starting and building a elite program – and contains new ideas on how to improve existing programs. The most exciting part is that the guide not only contains a 100 page ebook that covers everything from training schedules and physical ability progressions, to flexibility, expectations and my own personal notes about testing and training. In addition any and all updates that happen in the elite program will be updated within the book and you will get those updates for free! 90 minutes of drills and progressions broken up into the following videos: beginning elite bars, beginning elite beam, beginning elite floor, beginning elite vault, and elite conditioning.